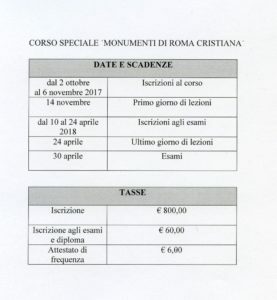 Moumenti di Roma Cristiana, a seminar series at the Vatican's Pontifical Institute for Christian Archaeology in Rome with weekly visits to ancient and medieval archaeological sites, will be held from November 2017 to April 2018. This course is open to students and scholars from all relevant disciplines, and can be taken for college credit. 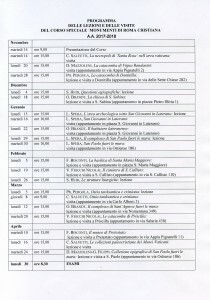 The course examines in detail the Christian and Jewish catacombs, the burial grounds near St. Peter's, early Christian churches in the historic center and suburbs of Rome, and period artifacts now in museums and private collections. Many of the site visits are by special arrangement to places not ordinarily open to the public, including the Jewish Catacombs of Vigna Randanini and Sculpture Museum at the Catacombs of Pretestato. 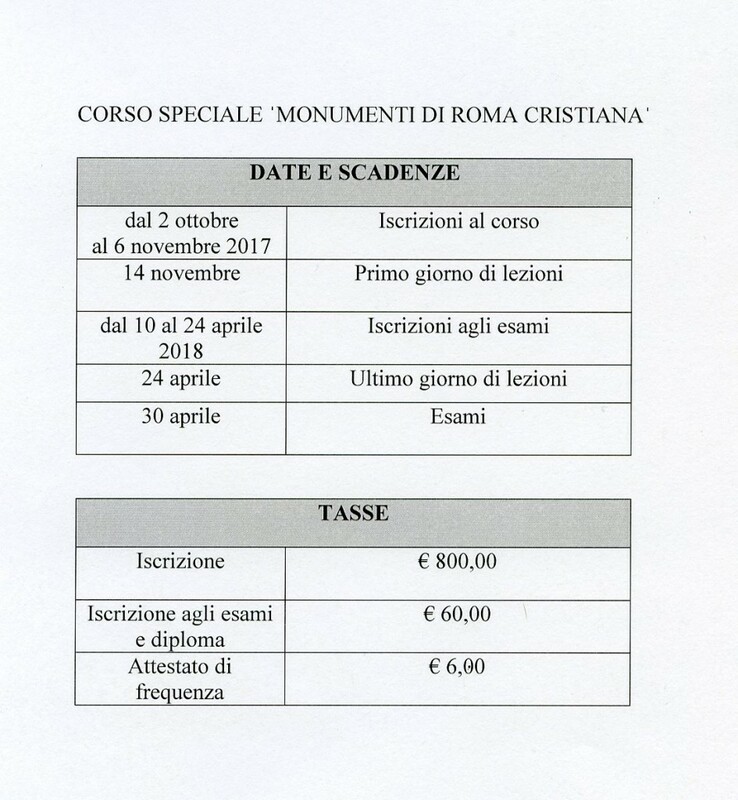 The course may be taken on its own or with the Institute's Introduction to Christian Archaeology (Corso di iniziazione alle Antichità cristiane). Tuition for all lessons and visits is euro 800. The language of instruction is Italian. 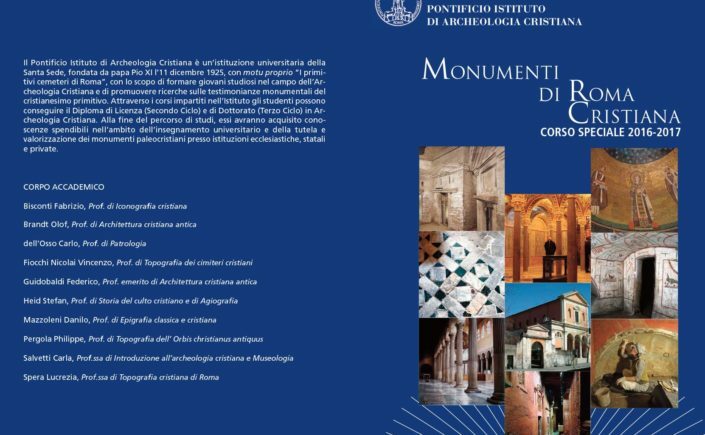 For information and registration, contact the Pontifical Institute of Christian Archaeology, viale Napoleone III, 00185, Rome, Italy. Tel. 0039-064465574; email segreteria@piac.it.